Fallon Manor - Sonnenfeld + Trocchia Architects, P. A.
Fallon Manor, a five-story senior living residence, consists of both one and two bedroom dwelling units, a community room, administrative area, and laundry facilities. 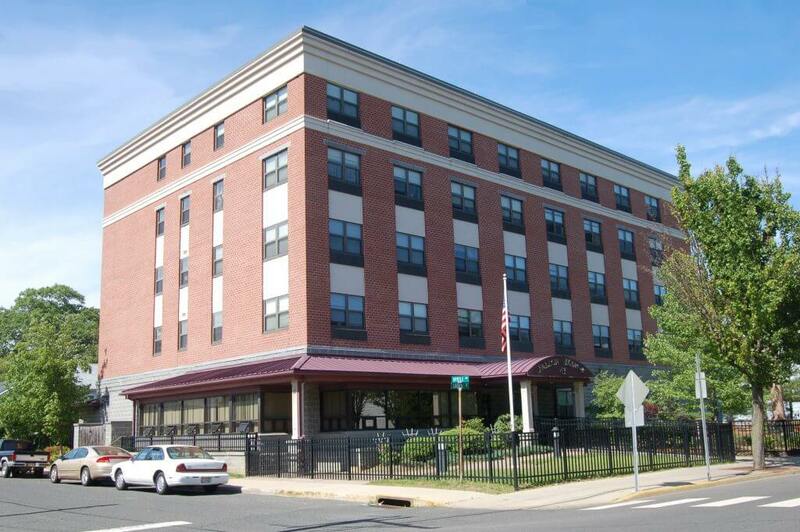 The front of the building is oriented to provide a comfortable pocket park for the residents. To mitigate the impact of the five story mass, the glass enclosed community room projects from the building façade, providing a human scale and connecting the residents inside with the outdoor environment.